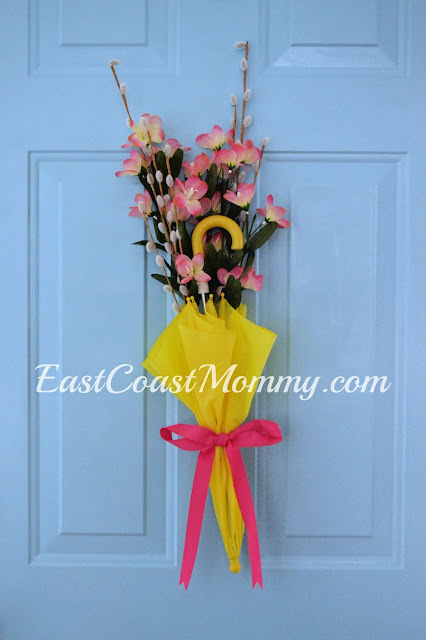 There is something wonderful about the arrival of Spring, and there is no better way to say goodbye to the "winter blahs" than hanging a bright and colourful Spring wreath on the front door. You can easily make something cheap and cheerful, and you don't need to be super-crafty to do it. Today, I'm sharing some simple and cute DIY Spring wreaths that are sure to keep you smiling until Summer arrives. 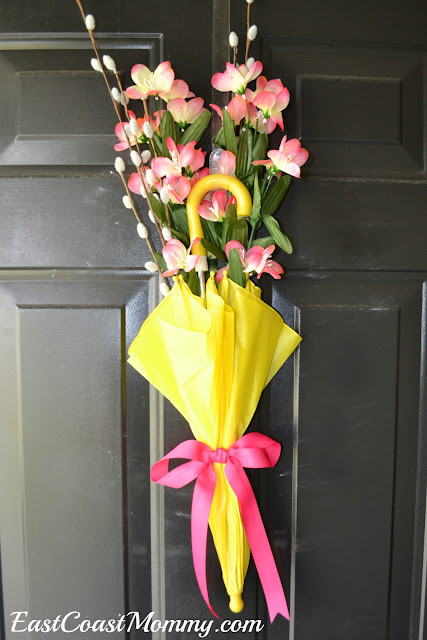 This umbrella wreath is one of my favourites. The supplies cost less than $10, and it takes less than 5 minutes to make. 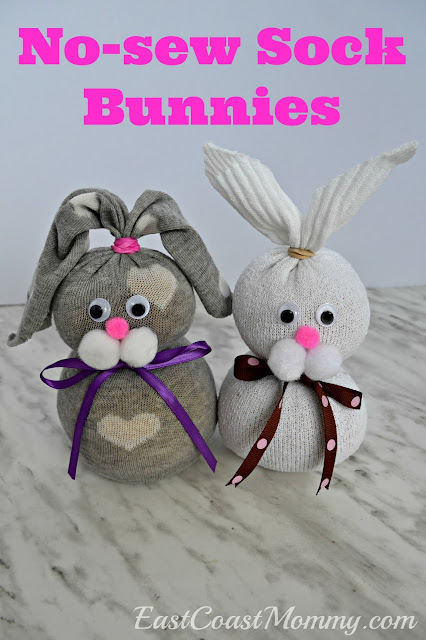 It's the perfect craft project for beginners. Find the full tutorial here. I'm a big fan of felt flowers, and the possibilities and colour combinations are infinite. I love the combination of a grapevine wreath and felt flowers, don't you? You can find the full tutorial for this felt flower Spring wreath here. 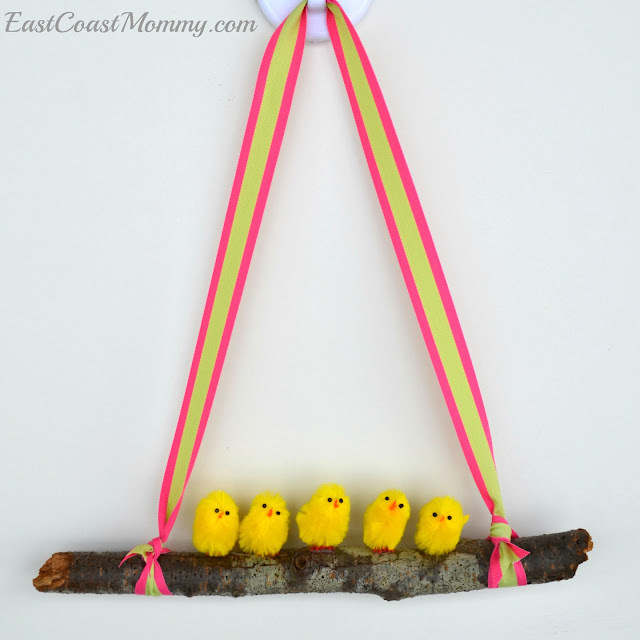 Crafting doesn't get any easy than this birds on a twig wreath. 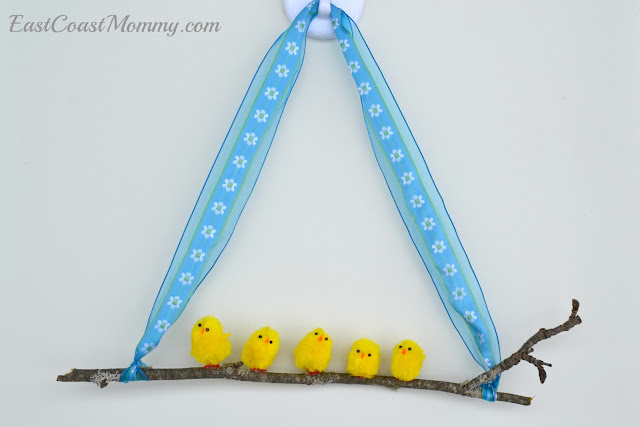 If you can work a glue gun, you can make this adorable piece of decor. Find the simple "how to" here. 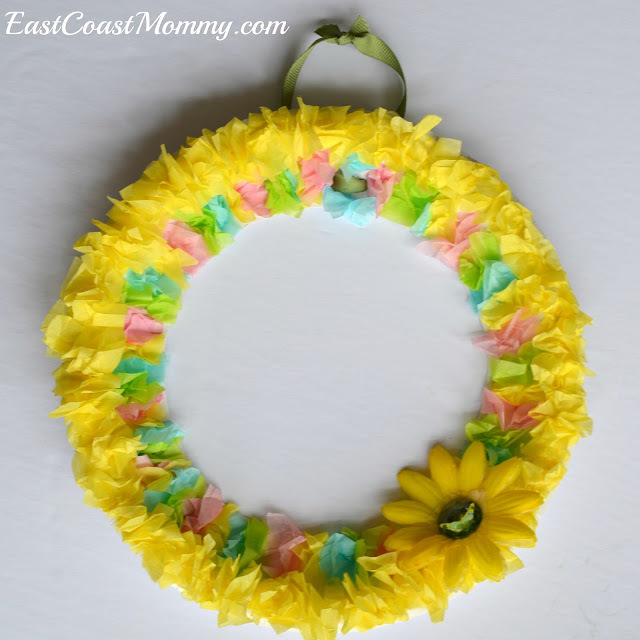 Crafting is fun at all ages, so you are going to want to check out this Spring tissue paper wreath that kids can make. All you need is a paper plate, tissue paper, and the instructions you can find here. 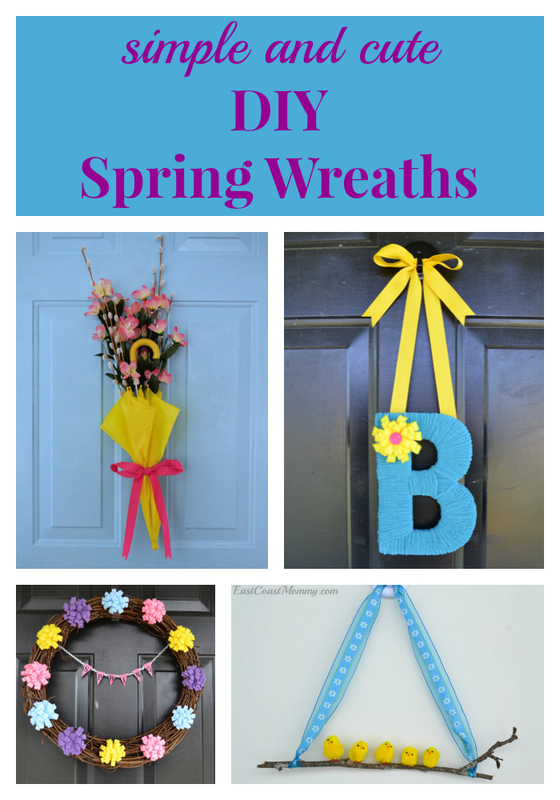 Another fun thing to make is this Spring color monogram. Choose your colours, and follow the tutorial here. What do you hang on your front during for Spring? 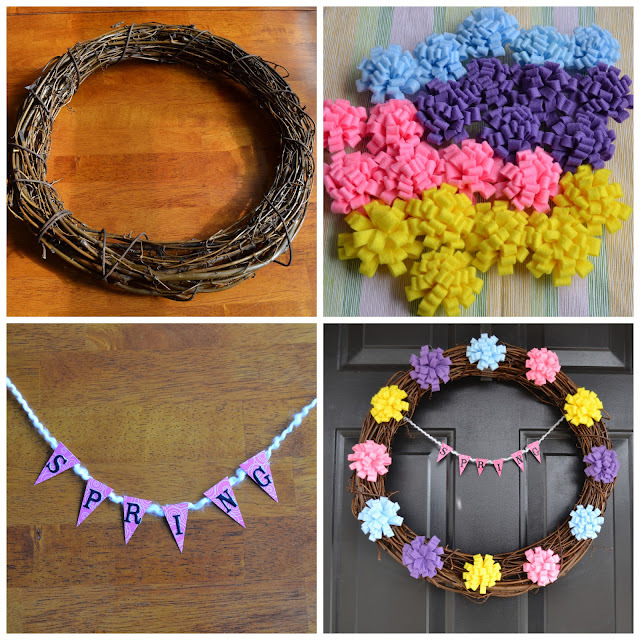 If you want something that you can DIY and customize, I hope you craft up one of these fun DIY Spring wreaths. Which one is your favourite?